Yangmingshan=Taipei’s Jingtu (Pure Land)! This is an excellent synonym for Yangmingshan. She blooms four different seasons of beauty, unique and intriguing. Around the mountain billows small plumes of sulfuric gas, representing its volcanic geology. The fertile land supports abundant species. 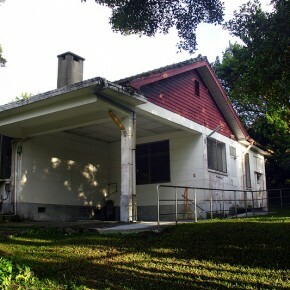 The Housing Will Be Put Up to Auction in June, 2011! The American military housing complex of Shanzaihou comprises 57,000 Ping, containing over a hundred white wooden homes and precious trees. In 2005, the Bank of Taiwan gradually began to plan auctioning the Shanzaihou Military Housing complex, giving rise to opposition among local residents, who then organized the Shanzaihou Cultural History Workshop. In 1949, the ROC (Republic of China) government, after a succession of losses under the fierce fighting of the Chinese Civil War, crossed the sea to Taiwan. The political situation was precarious. On June 25, 1950, the Korean War broke out. On March 20, 2010, the Bank of Taiwan held a discussion concerning plans for the American military housing complex at Shanzaihou. 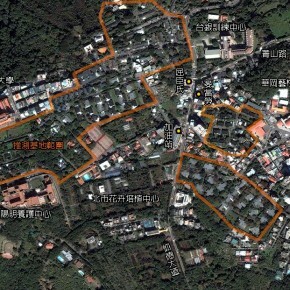 This site is located in the wealthy area of Yang Ming Shan. The area of this site is more than 57,000 Ping. 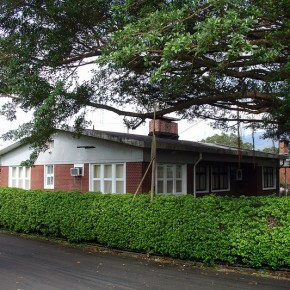 Constructed in the 1950s, the American military homes located near Chinese Culture University in Yangmingshan make up the largest such district in Taiwan, and were the first in Taiwan to be planned in a western style. Shanzaihou used to be rice paddies, but in order to accommodate MAAG’s plan to build housing, the authorities of Yangmingshan obtained the farmers’ land. In 1953, construction began. The American housing was divided into zones A,B,C,D,E,F,G and H. The size of the homes varied by district, which were divided based on rank and function. 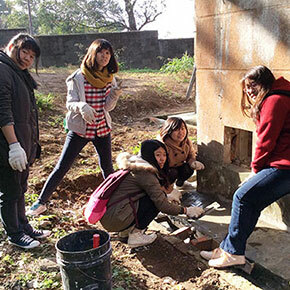 © 2017 Yangmingshan Historical Building – Eco Village Preservation & Education Alliance. All Rights Reserved.